The firm is currently offering vaginal mesh lawsuit evaluations for women who allege that they sustained injuries from vaginal mesh implants. New York, NY - October 22nd, 2013 - Plaintiffs in a vaginal mesh lawsuit against C.R. Bard received some good news on Oct. 18, when a federal judge upheld a $2 million damages award. The Rottenstein Law Group LLP, a vaginal mesh law firm that maintains the informational website www.bladdermeshlawsuitcenter.com, offers its opinion of the ruling and how it could affect future lawsuits against mesh manufacturers. Judge Joseph R. Goodwin, who is overseeing a consolidation of several thousand mesh lawsuits in federal court in West Virginia, ruled that the jury’s award was sound and that the plaintiffs’ counsel had proven that the device did not function as intended, according to court documents. Damages awards are not the only possible outcomes for mesh lawsuits. Bard is among five of six major vaginal mesh manufacturers with consolidated cases in federal court reported to be involved in mass settlement talks, along with Endo Health Solutions (American Medical Systems), Boston Scientific Corp., Coloplast and Cook Medical, according to Bloomberg. There are currently more than 30,000 lawsuits pending in those consolidations. The settlement talks are looking to resolve nearly all of those, the Bloomberg article said. So far this year Endo has already paid out more than $50 million in vaginal mesh settlements. 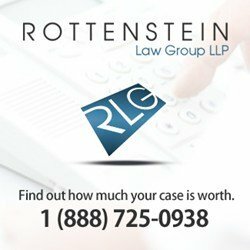 The Rottenstein Law Group LLP encourages those who believe they have suffered from the alleged side effects of their vaginal mesh implants to visit the firm’s mesh lawsuit FAQ page for quick answers to questions about mesh harms and lawsuits. For updates on vaginal mesh lawsuit news, visit RLG's vaginal mesh Facebook page. Subject: LongIsland.com - Your Name sent you Article details of "Vaginal Mesh Lawsuit Update: Federal Judge Upholds $2 Million Verdict Against C.R. Bard, Rottenstein Law Group LLP Reports"